I decided to have a little play with a Stamp, some Stickles and some Craftwork Cards Candi this evening, and had fun creating these three very simple cards. (Sometimes simple is best!) Those who know me well will know I am addicted to Candi (I think I have every colour that Craftwork Cards have ever released! lol) . 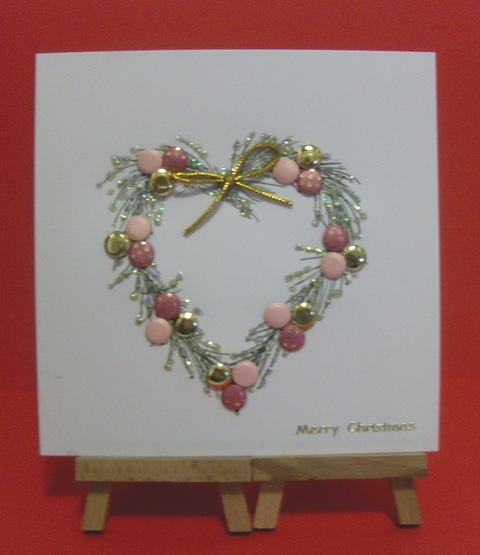 The stamp is the large heart wreath by Chloe and I used Ice Stickles in Gold Ice and Crystal Ice. I am going to try and make 50 cards for my work colleagues, using the same stamp but with different combinations of Candi. I will add more photo's as I make them! Wow - this is stunning - will have to have a go at this!! WOW these are gorgeous. I love my card candi too. Loving that stamp too. These are fabulous and what a great idea. What beautiful cards! I have never thought to use card candi in that way!!!! You have totally inspired me to use them as more than a finish to a card. 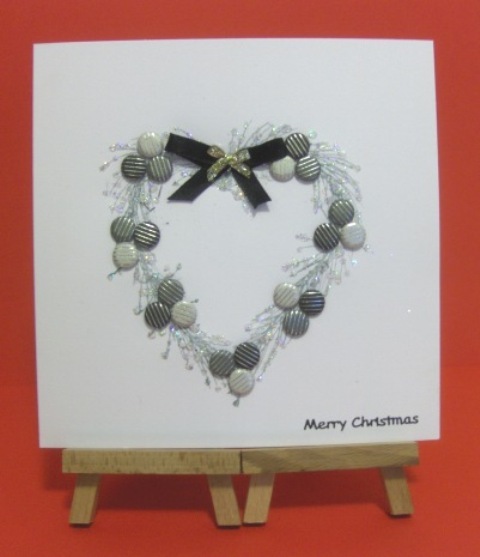 I love the plain white background and the sparkle. 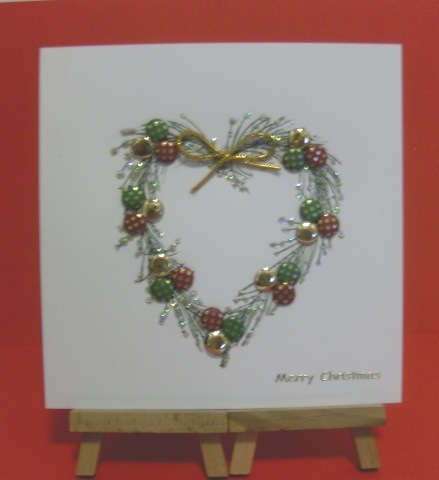 I am looking for a CAS design for my own friends & family cards this year. I won't be copying but this has inspired me - thanks Debz.